Stones is not a restaurant. Instead, it’s a venue, and “the most remarkable in the region”, according to their website. They have good reason to boast. The main building sits atop a rise off St Huberts Road and has captivating views over vines to the valley and hills beyond. This building has been stunningly restored from an historic barn, with floor to ceiling windows bringing the view to the table. For Greg Malouf’s series of lunches, the large, sturdy wooden tables are generously spaced. The room’s loft ceilings let the noise of conversations mingle to a lull, but each dining group has ample, separate space. Comfortable space too, seated on high backed chocolate brown leather chairs. And comfort is what you want, as you settle in to be pampered by the culinary imagination of one of Melbourne’s most respected chefs. 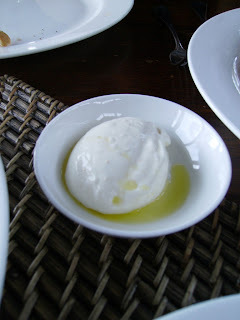 The Arabesque lunch is a thirteen course banquet, with six mezze, five mains and two desserts. This meal was special from the first bite: an oyster in chickpea batter, served in its shell with a wonderful, lemony, green harissa mayonnaise. 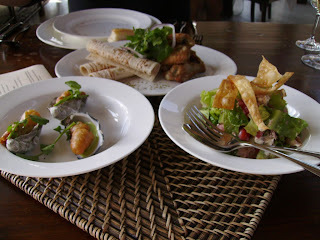 The second seafood mezza was a smoked trout fattouche, served with tomato, cos lettuce, radish and cucumber. The fresh vegetable taste was brought out with an incredible dressing, which may have owed some of its flavour to the decadent, creamy Persian fetta. Chicken wings with lime and garlic rounded out round 1. After plenty of time to appreciate the green apple and herb flavours of our Boat O'Craigo Sav Blanc, we were served three more highlights. 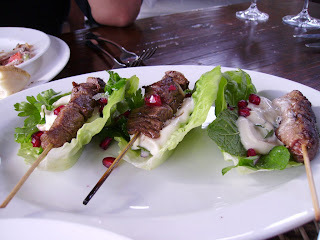 The kid kebabs were wondrously presented, with jewel-like pomegranate seeds. 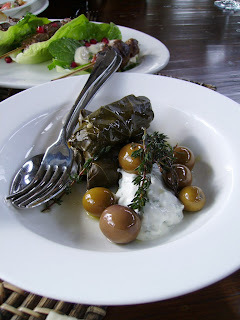 The Greek style vine leaves were a singular taste experience – obviously freshly rolled in the kitchen, they were filled with rice and pistachio and accompanied by a basil tzaziki that wonderfully mixed Middle East and Mediterranean styles. Pomegranate featured again alongside some divine boreks – light, crispy pastry rolls with minced lamb and filled with the wonderful taste of pinenuts. 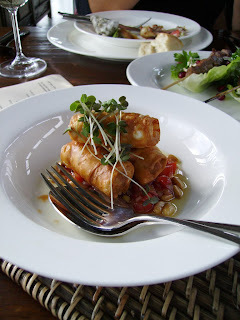 We had controlled ourselves exceedingly well, given the quality of food and the volume to come. The mains were served as a complete set. 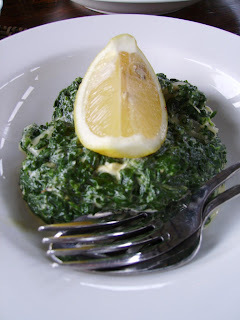 The highlight was undoubtedly creamed feta spinach, flavoured with shallots and nutmeg. The moreish, creamy feta against the almost crispy spinach was a delight. 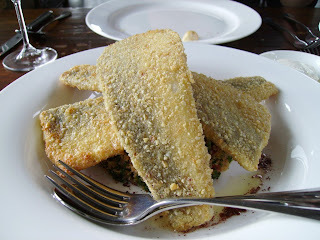 A citrus labneh was a handy accompaniment to a relatively plain whiting in almond and sesame crumbs. 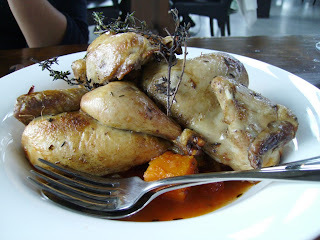 A dish of roasted spatchcock was a little heavier than any of us were looking for, but I was thrilled with the accompanying date and pumpkin stew – I love those sweet sauces. 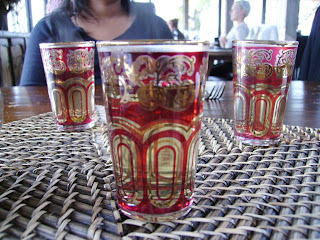 Feeling more than a bit comfortable and extremely relaxed, we were treated to a pot of middle eastern sweet mint tea. And then, just when nothing could be excelled, came the baklava. 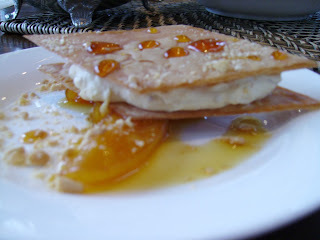 It was an inspired interpretation: two layers of fine, crisp pastry, with a decadent fig cream between them, dribbled all over with almond praline and a honey syrup, that left us all silent while we appreciated this extraordinary dish. 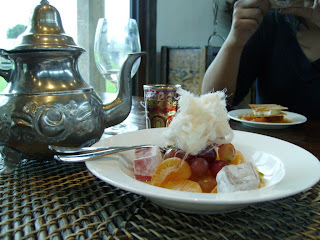 A plate of mandarin, grape and halva hardly got a look in! This was a truly intelligent, balanced and delightful dining experience, served with warmth and in uncommonly pretty surroundings.